Home to everything from pantry provisions to appliances and accessories, the kitchen can be a tricky place to keep tidy. But it’s not the end if you spend more time seeking for a particular tool than actually preparing the meal. All you need to do is whip this space into shape with smart storage solutions – and ensure every item has its very own secret hideout. Create order inside of your cabinets and drawers with nifty interior fittings. They’re a lifesaver because they let you zero in on your weapon of choice with nary an effort. Imagine finding the can opener precisely where it’s supposed to be. The options are endless too. 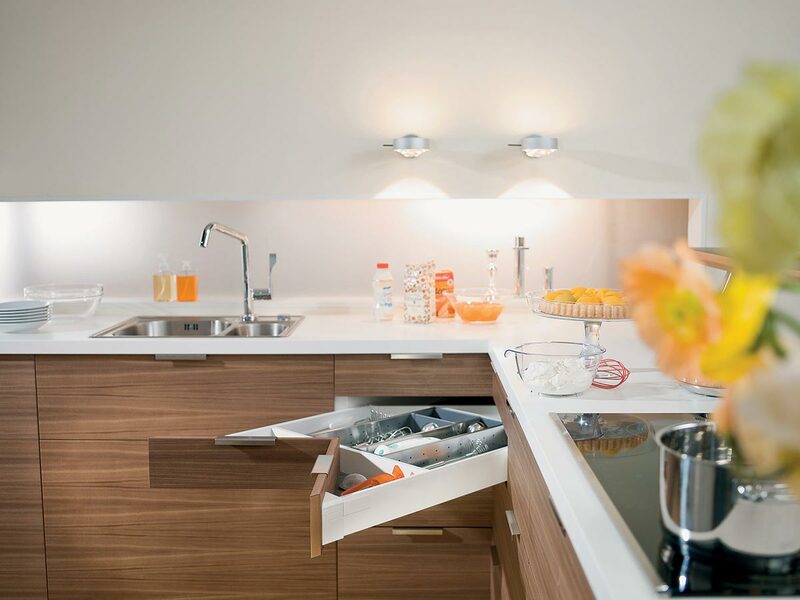 Choose simple fixes such as internal dividers to sort your everyday cutlery from those reserved for special occasions, or clever in-drawer systems that can be configured according to your needs to pack maximum storage punch. Space is precious particularly in small kitchens, so maximise every inch – and that includes vertical surfaces. Walls, sides of cabinets, and even insides of doors make great contenders for hanging your tools and things. Magnetic strips affixed to the backsplash, for example, keep your knives out of way until they’re ready to chop, slice and dice. Pot racks are also handy for the hardworking home chef. Just grab your cookware of choice, and then hang it back for quick drying after use. Sometimes there are days that call for additional space for prep work. And a sneaky way to gain it is with a retractable worktop. While a smaller sized one helps to expand your working area, a bigger table can do so considerably and multi-task as a breakfast bar too. 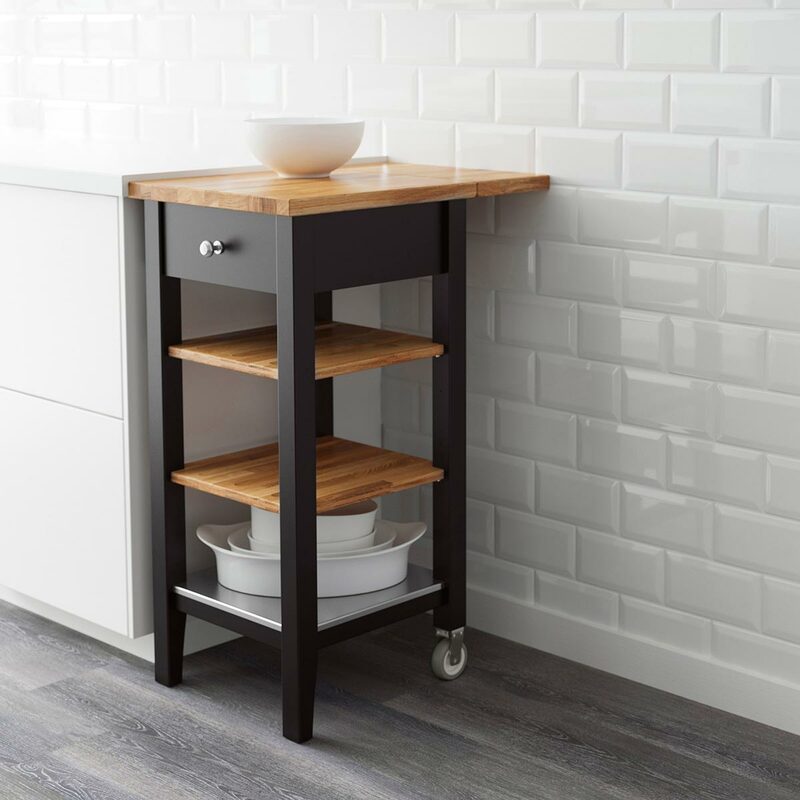 We also love how the kitchen trolley or cart provides you with extra counter and storage space whenever required. As it’s portable, simply wheel it out to the next room if it gets in the way. When it comes to pantry provisions, containers help in establishing order. Apart from combatting clutter behind closed doors, they also allow speedy access to any ingredient you need to whip up today’s dish of the day. 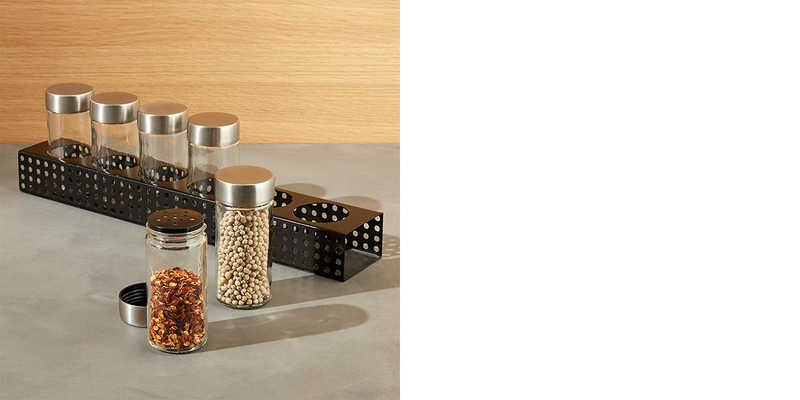 Classify your supplies in terms of usage too: keep salt and pepper shakers within arm’s reach and tuck away rarely used items on the top shelf. You should also label your containers to save time on rummaging and figuring out what’s stored inside. 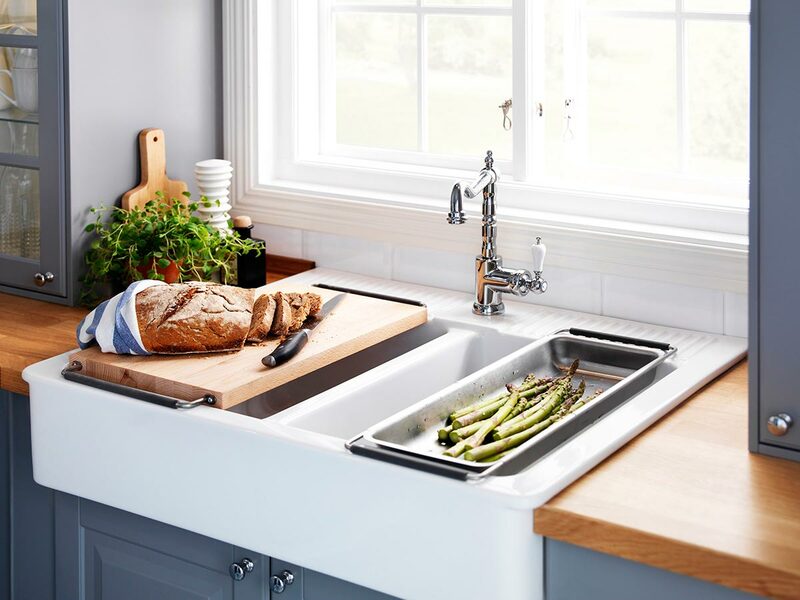 Since it’s hardly possible to keep dishwashing necessities such as soap, brushes and sponges completely out of sight, why not display them in pretty little trays or sleek looking holders that match your kitchen’s decor? 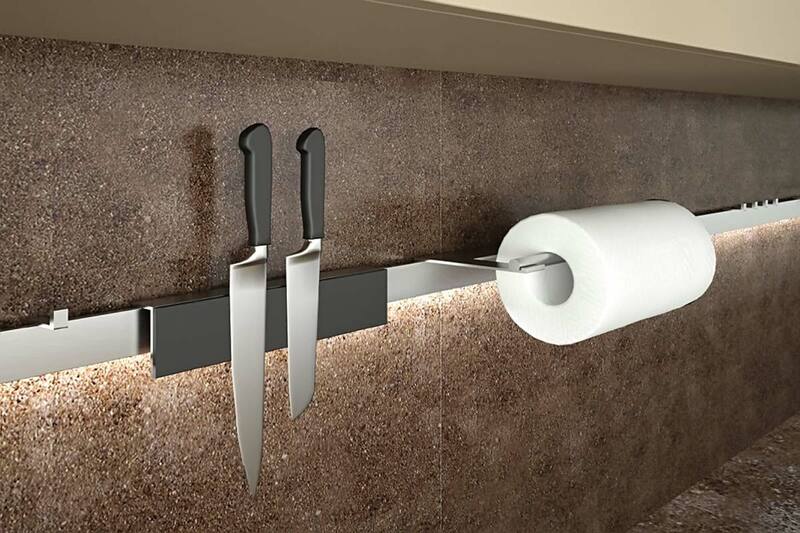 Or give them a lift with wall-mounted storage options. Here’s a neat tip: decant your dishwashing liquid in a pump bottle and stow the main supply away to keep this area shipshape. This was adapted from an article originally written by Fidz Azmin in the May 2017 issue of SquareRooms. 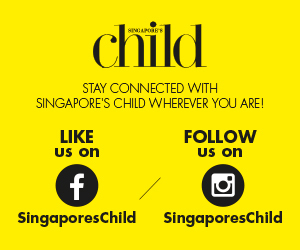 McDonald's East Coast Park is Back!